WorldMovieStore - Red Tail Reborn Sinopsis. Like the men they tribute, the Red Tail Project encountered adversity when their flying homage to the Airmen, the Mustang, crashed in 2004, killing pilot Don Hinz, who was also the project leader. Red Tail Reborn, narrated by Michael Dorn, is a tale of inspiration. 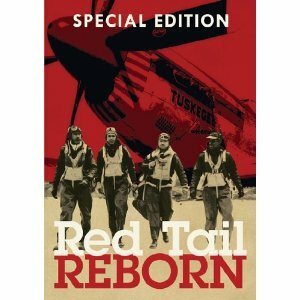 Now, the full story of the Tuskegee Airmen and the Red Tail Project can be told. Bonus feature include a director's commentary and the unedited, raw interviews with the Tuskegee Airmen. Read More Sinopsis. 0 Response to "Blu-ray Release Red Tail Reborn"